Firmware upgrades for both Viiiiva and PRECISION are now in final testing along with updated versions of the 4iiii Android and iOS apps. The Viiiiva heart rate monitor upgrade will soon give you a convenient 4iiii tap-to-pair function, which does just that – it lets you tap your smart phone to your Viiiiva for immediate pairing. Great for hassle-free starts. The upgrade will also feature a new heart rate algorithm that is more responsive and even better for tracking Heart Rate Variability (HRV). In addition, Viiiiva’s file save functionality will simply store and forward your data. This means that if you don’t have your phone and/or display unit (watch, bike head unit, etc.) with you during your activity, you can still save the data files and access them later. Viiiiva will collect and store data from the Viiiiva heart rate monitor as well as any ANT+ foot speed and distance, foot cadence, bike speed, cadence and/or power sensor paired to the Viiiiva. 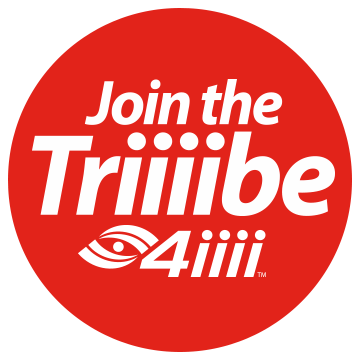 You ride, run, walk, or hike and then, when you want it, your information will be available for download through the 4iiii app to your phone or computer. Easy. And if you happen to be on a great outing with your phone, watch or hub, the Viiiiva will still give you your as-it-happens real-time data. Still part of the new upgrade, the Viiiiva will serve as a bridge to fitness equipment so that you can collect data while at the gym and later transfer it via the 4iiii app to your choice of training software. The best of all worlds. Moving onto cycling specifically, the PRECISION firmware upgrade will further increase battery life and also include a low battery indicator. 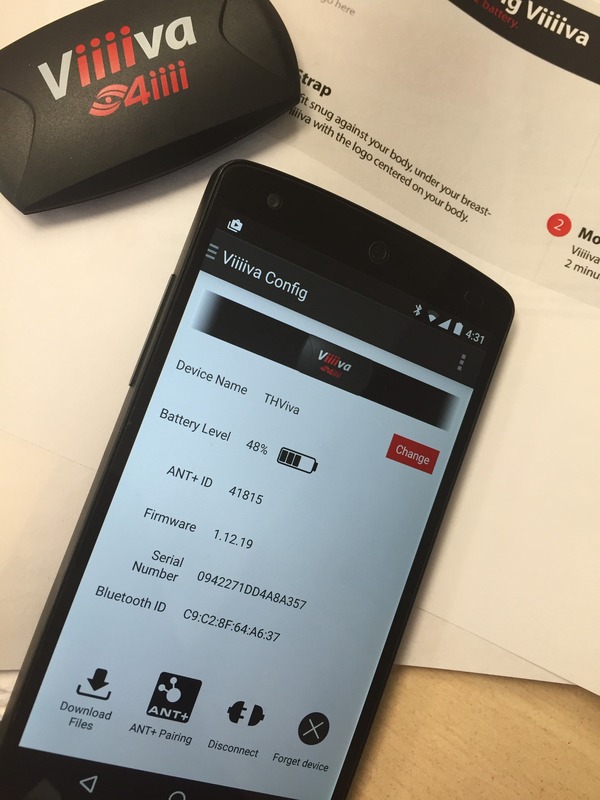 This battery alert will be transmitted to the 4iiii app as well as any ANT+ head unit paired with the power meter. Additionally, an ‘advanced settings’ screen will let you match PRECISION’s output to other devices, should that be part of your regime. All in all, the goal of these new features is to help you get the most out of your 4iiii devices and your activities. Watch for in-depth instructions in the coming weeks. Heading into the Canadian Thanksgiving weekend, here’s a PRECISION update and some race talk from the couch for you. Testing of dual side PRECISION is going very well and is currently targeting early 2016 production. Firm dates will be announced as soon as they are confirmed.) In the meantime, check out a sneak preview posted today on DCRainmaker’s blog! Next week we’ll be posting information about the upcoming PRECISION firmware release. The upgrade offers new usability features and also addresses the unusual pedalling styles exhibited by a few riders. This will be helpful to those of you who are comparing multiple power meters. It should be mentioned that for those who only use power-based training plans, an unusual pedalling style is of no consequence because PRECISION measurements are consistent and relative from day to day. Now, if cracked ribs and separated shoulder have you stuck on the couch like our Cross Crasher Karel, here’s a view of what’s happening in the global cycling world. The inaugural Abu Dhabi Tour is underway and well worth checking out (http://www.abudhabitour.com/home.php). The race is mostly a sprinter’s delight with flat finishes, racing through unique landscapes that aren’t often seen in pro cycling. Keener triathletes are also chomping at the bit to see the results from the Ironman World Championships in Kona. The big race is tomorrow with many athletes braving the choppy waters, the heat and the wind of the event. Kona is one of the rare events on the tri calendar that is renowned for windy conditions – to the extent that disc wheels are prohibited. Slowtwitch.com has fantastic coverage from the week leading up to the big event. And finally on home turf, a 4iiii relay running team will compete in the Grizzly Ultra Marathon in Canmore, Alberta this Sunday. The team will take on the five legs of pretty technical terrain, running a combined 50km. Our motivation is simple: run enough to justify a trip to the Poutinerie (aka the restaurant that serves poutine) post race! This day’s activity will also serve as a great antidote for our big turkey dinners on holiday Monday. Happy Thanksgiving to all of you north of the 49th! 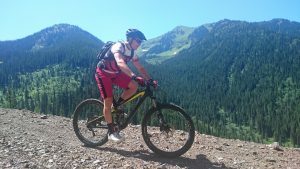 It’s been a busy week at 4iiii and it included a terrific ride in the Rocky Mountains with Ray Maker of DCRainmaker.com. 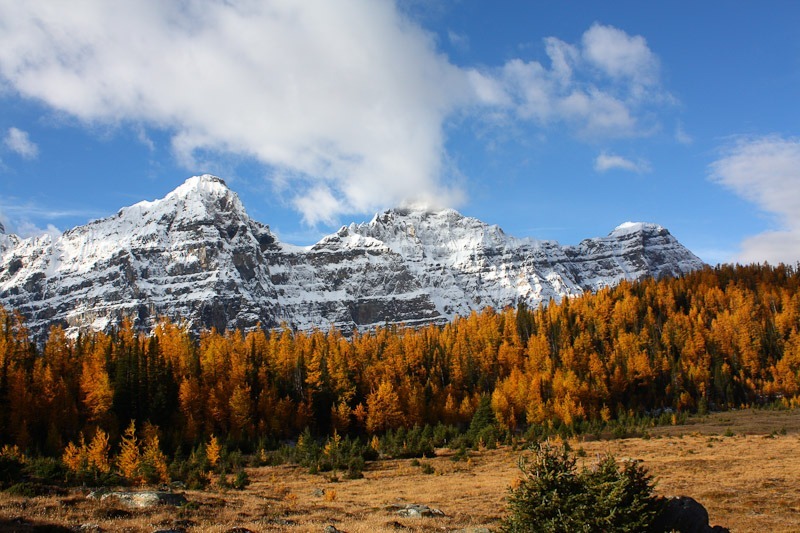 We enjoyed the views and golden larches around Lake Louise and Moraine Lake, and chatted about bikes and power meters. The perfect day for keen cyclists. With the falls colors comes the approach of winter (at least up here), and gearing up for the indoor training season. This always means trainers and motivational tools like BKOOL, ZWIFT, TrainerRoad, and epic videos from The Sufferfest. 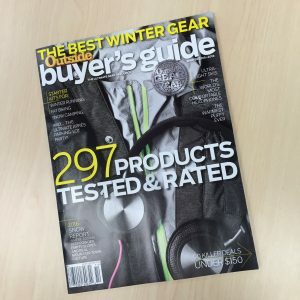 It’s also the season for the 2016 Outside Magazine Winter Buyers’ Guide and we’re pleased that PRECISION was featured as part of the indoor training section along with BKOOL. Regardless of the turning leaves, however, there are those of us who aren’t quite ready to throw in the outdoor towel just yet and are still racing cross! If you are in the Calgary area, Dark Knight takes place at Canada Olympic Park on Saturday evening. It’s always an entertaining family spectacle with night-time racing, flaming obstacles and costumes. Some of the 4iiii crew will be there getting our cross on, so come watch the fun. You definitely know it’s cross season when conversation turns to pumpkin spiced lattes, modular clothing and embrocation cream. For those of you south of the equator, you’re leaving these favs behind but for us up north, road racing is over, cyclocross is in full swing and riders are out to ride for fun before winter arrives in earnest. The most marked difference between summer and fall riding in our part of the world is the need for different clothing systems. Rides can start in very chilly morning conditions and end in almost summer-like heat in the afternoon. Dressing in tights and winter riding boots (fatbikers rejoice!) for the morning will leave you sweltering later on in the day. Obviously, the reverse is also true and dressing in a jersey and shorts might be comfortable in the afternoon, but you’ll have to suffer through the morning to the heat of the day. Without question, the key to transitioning between seasons, regardless of your hemisphere, is the modular clothing system. 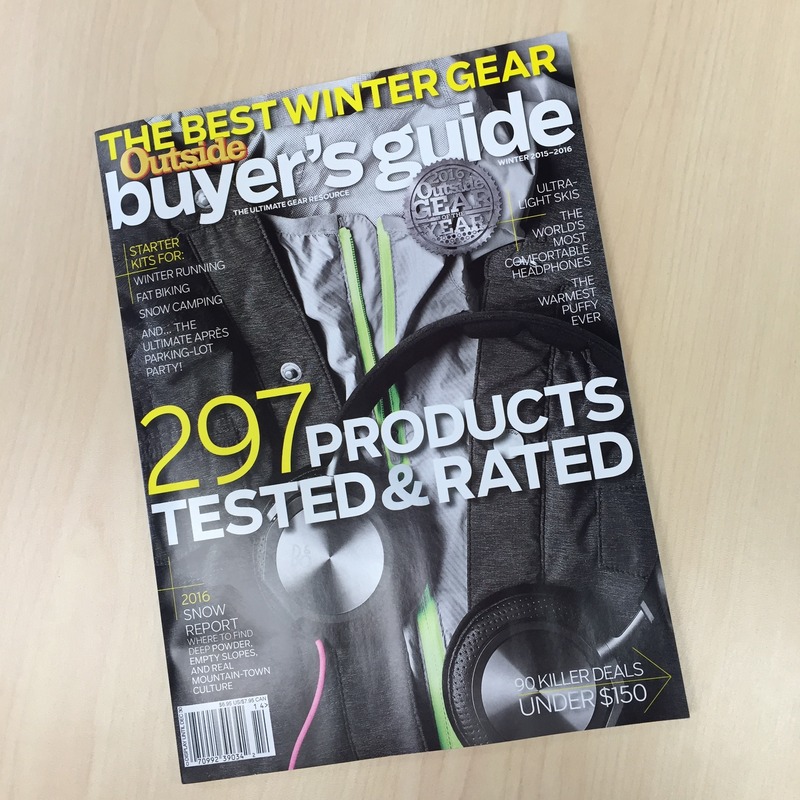 Ideally, this consists of arm warmers, leg warmers (or knee covers), shoe covers and full-fingered but light gloves. The most important component is a nice, light vest with pockets. This combination leaves you toasty-warm in the morning, but the shoe covers, leg warmers and arm warmers can be removed at various times to always maintain the perfect body temperature. The vest we talked about is required because you need the pocket space to stow all of this extra gear later in the day. The other approach is to use embrocation cream directly on your skin when you don’t have room to stash your clothing pieces. Creams, such as that made by Mad Alchemy provide a nice warming sensation by increasing blood flow to the anointed areas. I use the medium strength on my legs and hands – it’s kind of like having a cushion of warm air around your exposed skin. Caution should be taken as embrocated areas feel like they are burning when hit by intense sunlight. You’re best to only use the cream on long rides when the forecast is for overcast skies. And whatever you do, don’t get the cream in your eyes. One last tip is to wipe applied areas with dish soap before showering. This helps to remove the cream that can burn a little when hot water hits. Happy riding and remember to use your lights as the days get shorter! Bullish (aka positive, thriving) seems to be a good word to summarize 4iiii and the cycling industry this week! 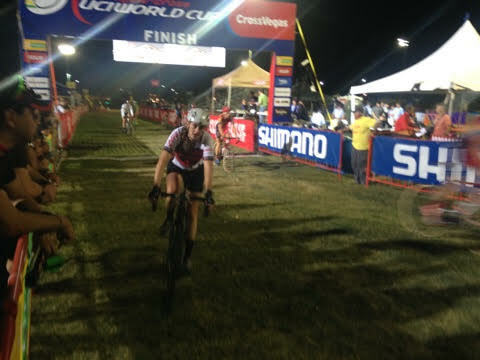 A big event at Interbike 2015 was the Cliff Bar CrossVegas race. It jump-started the 2015-16 UCI Cyclo-cross World Cup and was the first CX World Cup event outside of Europe. As part of the event, Liv sponsored the Women’s Wheelers & Dealers Race in which our own PRECISION product manager placed 7th. (See pic below) Emma’s success was no doubt due in part to the Ridley X-Trail 2016 bike that our friends at Cross Bike Review set her up with. Huge thanks to the Scott, Inga and Joe, the beauty, brains and brawn behind the wise as well as spirited reviews of all things cyclocross. 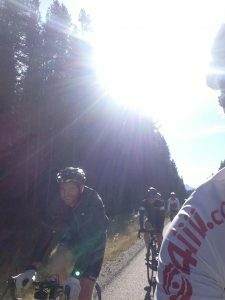 We’re on the road again – this time to Interbike in Vegas! push their own limits. The Tour of Alberta, which ran throughout the Rockies recently, is one of those events. We will also be at Interbike in just a few days. Exhibit preparations are well underway (see pic below), as we are, of course, eager to show off PRECISION to the typically passionate crowd. Watch for us at both Demo Days in Bootleg Canyon, Sept, 14-15 and at the 4iiii booth #28226 in Interbike at the Mandalay Bay Convention Center. If trade shows aren’t your thing, then at least #crossishere. Get that running mount dialled in. When we’re not busy building PRECISION power meters and other products, we’re out there pushing our own personal limits too. PRECISION product manager, Emma is racing the Ironman World Championships in Austria this Sunday and we wish her the best of luck. Sometimes the limits we all push aren’t physical, but psychological. 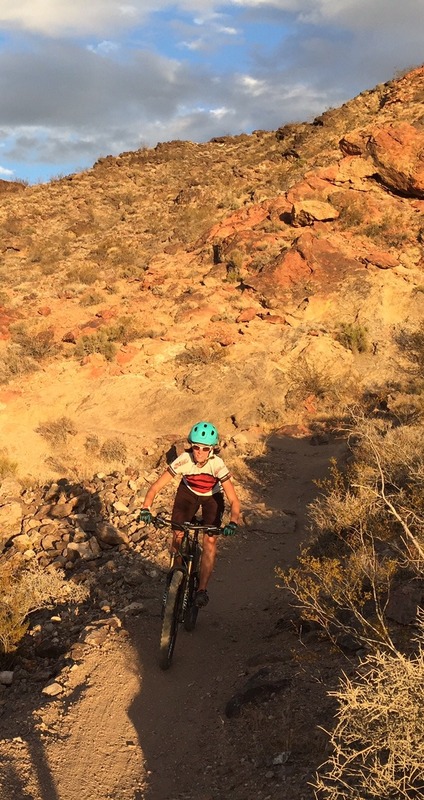 Those of you who ride mountain bikes know that often the limits are all in your head. Here is a brief video clip of Karel from our support team pushing his comfort zone down the local test-piece Razor’s Edge. We’ve added live metrics to the video, so you can see Karel’s heart rate on the left, and his speed and PRECISION power data on the right. As you’d expect, while he’s climbing his heart rate continues to rise and he has to maintain sufficiently high power output to get over the obstacles. The real challenge on Razor’s Edge is the downhill, where his speed goes up. 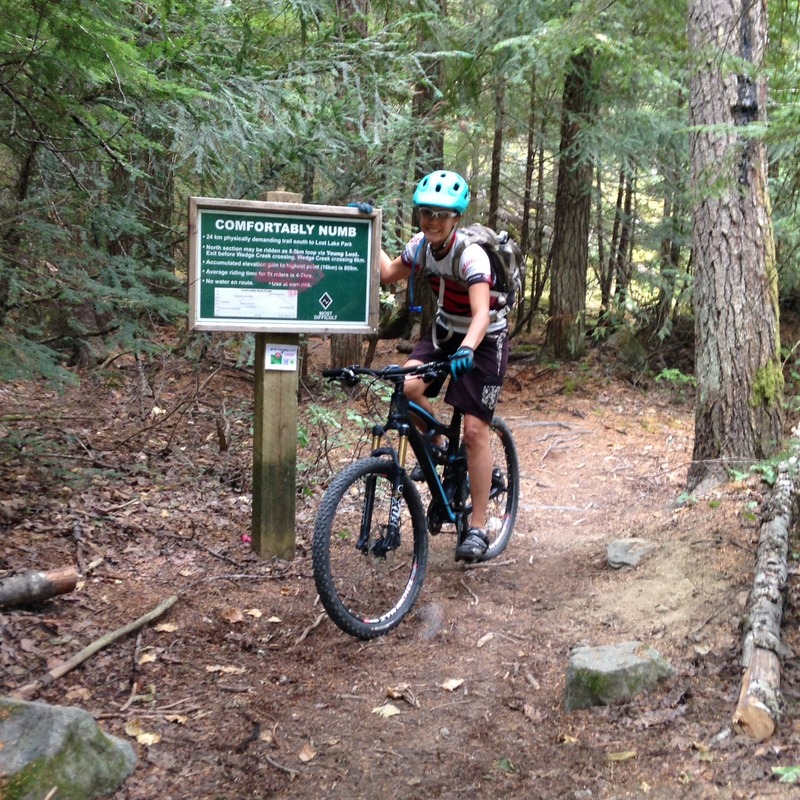 On technical descents, balance and concentration prevent his heart rate from going too low. Gravity is all that’s needed for propulsion and the last thing he wants to do is go faster, so power output is usually zero. Summer around here is starting to dwindle so enjoy your ride whether road, cross or mountain, and let us know how we can help you push your own limits. Razor’s Edge, Bow Valley Mountain Biking from 4iiii Innovations on Vimeo. It’s a rainy Friday in Cochrane, and clear that, even though it’s still August, fall is in the air here in the northern hemisphere. This means it’s time for lots of Cyclocross, your fav arm warmers, and the excitement of the big bike shows. If you’re not quite ready to start dusting off the mud tires for cross, you can still get your pro racing fix with The Vuelta a España that’s about to start. There are bound to be some exciting finishes in store. 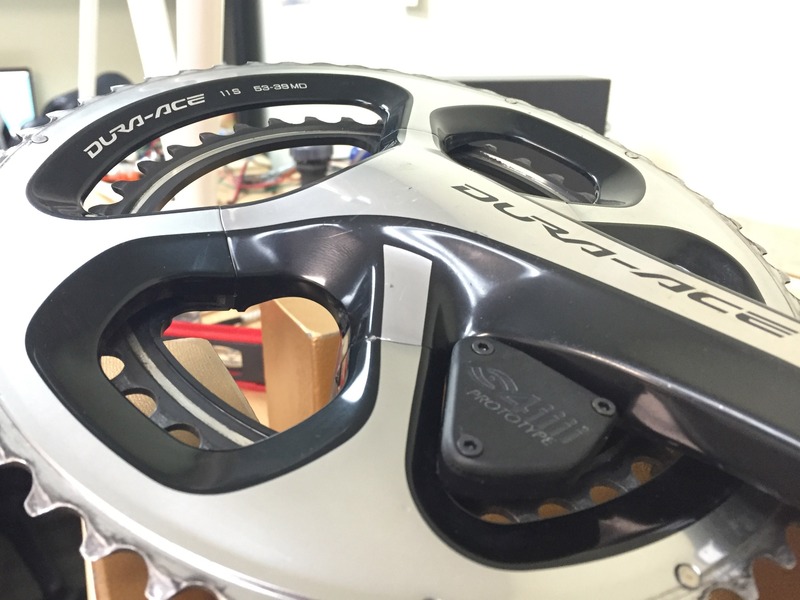 As for industry shows, our team will be on the ground at Eurobike in Germany next week, excited to see what’s new. Our preparations for Interbike in Vegas are also underway and we’ll be equally keen to participate in this showcase mid September. 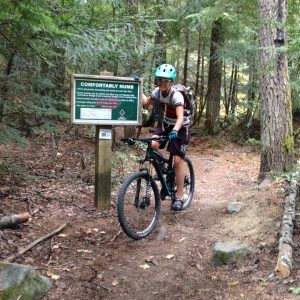 PRECISION has taken us to some incredible routes of late, like the epic Whistler trail, Comfortably Numb, and the wild rides above Kaslo, British Columbia. As the seasons change in your part of the world, where are you headed? We’re excited to report that we are through our PRECISION pre-order backlog! 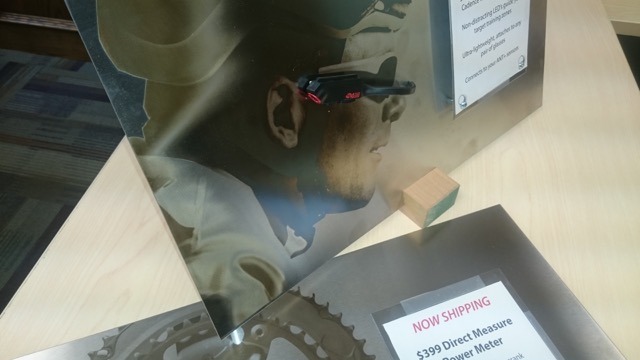 Customers have now either received their PRECISION or they’ve been sent a digital ship kit with instructions for getting cranks into our factory. 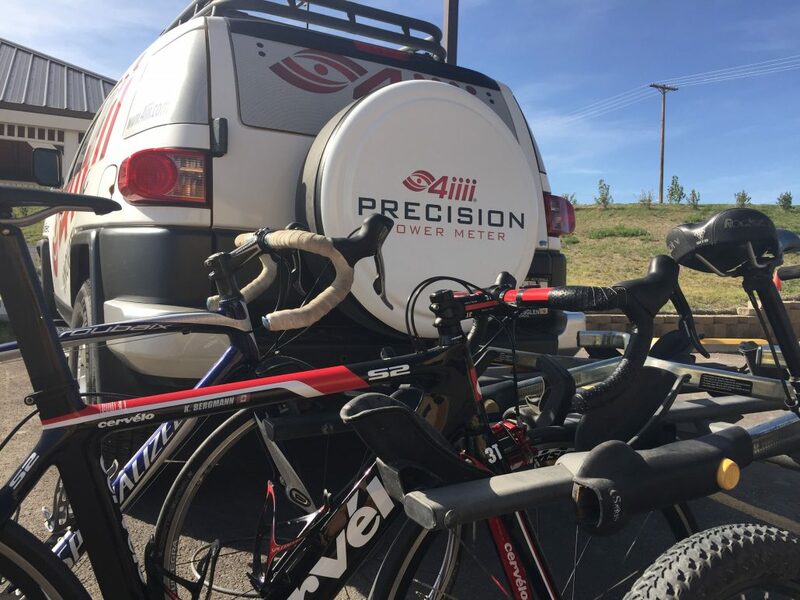 With our streamlined manufacturing process, anyone placing PRECISION orders now can have power meters installed in our factory and back on their bikes within 2 – 4 weeks.